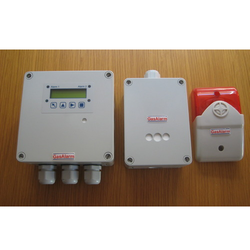 Leading Manufacturer of carbon monoxide gas detector, hydrocarbon sensor transmitter, hydrogen (h2) sensor transmitter, adt03-3400 ethanol transmitter, chlorine (halogen) sensor transmitter and ethylene (c2h4) gas sensor transmitter for fruit ripening from Jaipur. We ALVI Automation India Private Limited in association with Gas Alarm Systems Australia (www.gasalarm.com.au) and MSR Germany, specializing in gas detection & monitoring solutions feel pleased to say that we had done lots of successful car park ventilation system projects all over India as well as in Australia, Newzealand, Sri Lanka, Myanmar, Canada, UAE, and many more countries and found our Carbon Monoxide Sensor Transmitter GAS-CO-300-D and MSR CO Sensor Transmitter MA-0-1110-F-B is the best energy saving, accurate, fast responsive, long life and economical in cost compared to the other brands present in market. These batteries when being charged generate, liberate highly explosive Hydrogen (H2) gas. The LEL(Lower Explosive Limit) of Hydrogen (H2) is 4 % Vol. and the UEL (Upper Explosive Limit) is 77 % Vol. Hydrogen (H2) is lighter than air and travels towards ceiling in an enclosed battery room. ALVI - India takes pride in offering MSR Germany Ethanol Transmitter ADT03-3400 for combustible gases. ADT transmitter with digital processing of the measured values and temperature compensation for the continuous monitoring of the ambient air and detection of combustible gases and vapours. The calibration routine with selective access release enables the comfortable calibration of the transmitter. In addition to the standard analog output (0) 4-20 mA or (0) 2- 10 V DC the ADT-03 is equipped with a RS-485 interface for different protocols. Two relays with adjustable switch threshold are available as an option. The transmitter is used within a wide commercial range for detecting flammable gases and vapours. Due to the output signal and the RS-485 interface the transmitter ADT-03 is compatible to the PolyGard gas controller series MGC and DGC by MSR-E as well as to any other electronic control or automation system. Alvi Automation India Pvt. 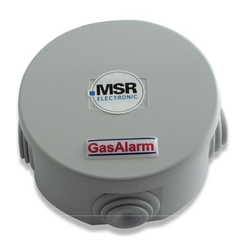 Ltd. (Gas Alarm System India )offer Chlorine (Halogen) sensor transmitter / detector/ analyser from MSR Electronic, Germany for toxicity monitoring. ALVI Automation Offer MSR Electronic, Germany Gas Redical Sensor Transmitter For Early Detection Of Gas Redical In Prevention Of Explosion And Fire In Explosive Storage And factory and Chemical Storage. 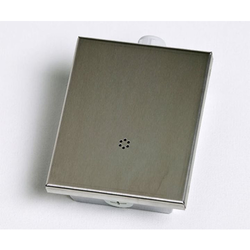 ALSO Indoor air quality (CO2+VOC) sensor transmitter includes digital measurement value processing and temperature compensation for the continuous monitoring of the ambient air to detect IAQ gas concentrations. 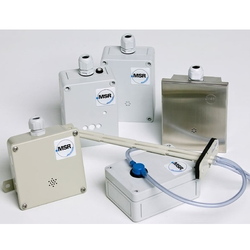 ALVI Automation Offer in India Market MSR Electronic, Germany Gas redical sensor transmitter for early detection of gas redicals in prevention of explosion and fire in explosive storage and factory OR Indoor air quality (CO2+VOC) sensor transmitter includes digitalmeasurement value processing and temperature compensation for the continuous monitoring ofthe ambient air to detect IAQ gas concentrations. Combustible Gas Detector, Confined Space Gas Detector, Gas Detection System, Gas Detectors, Gas Analyzers, Exhaust Gas Analysers, Biogas Analyser, Stack Gas Analyser, Catalytic Gas Sensor, Combustible Gas Sensor, Gas Sensors, Hydrogen Gas Sensor, Methane Detector, Lpg Bottling Plants, Lpg Burners, Lpg Cylinder Plant, Lpg Fuel Tank, Lpg Gas Leakage Sensor, Gas Train, Lpg Gas Tanker, Lpg Station, Lpg Vaporizer, Natural Gas Alarm, Natural Gas Plants, Combustion Analyzer, Biogas Generation Plant, Biogas Generator, Biogas Power Generation Plant, Biomass Gasifier. 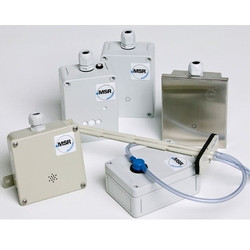 Offer Hydrogen Chloride HCL Transmitter Sensor For commercial Application. HCL transmitter including digital measurement value processing and temperature compensation for the continuous monitoring of the ambient air to detect hydrogen chloride concentrations. Integrated in the transmitter there is a comfortable calibration routine with selective access release. The ADT-53 possesses a standard analog output (0) 4- 20 mA or (0) 2– 10 V DC, and an RS-485 interface. 2 relays with adjustable switching thresholds are available as an option. For the detection of hydrogen chloride within a wide range of industrial and commercial applications. Due to the standard output signal and the RS-485 interface the HCL transmitter is compatible to the PolyGard Gas Controller series MGC and DGC by MSR-E as well as to any other electronic control or automation system. Poly Gard (N2O)/Laughing Gas Analog Transmitter Analog n2o gas transmitter with infrared sensor for the detection of concentrations in the ambient air. 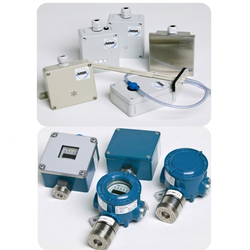 The n2o transmitter is used for the detection of (n2o)/ within a wide range of commercial applications. 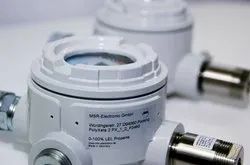 Due to the 4 – 20 ma analog signal the n2o transmitter is compatible to the polygard gas controller series mgc by msr-e as well as to any electronic analog control, automation system. MSR Germany Transmitter ADT03-3400 Sensor for LPG Gaseswith Gas Alarm Systems – Australia offer MSR Germany Transmitter ADT03-3400 for LPG , combustible gases. ADT transmitter with digital processing of the measured values and temperature compensation for the continuous monitoring of the ambient air and detection of combustible gases and vapours. The calibration routine with selective access release enables the comfortable calibration of the transmitter. In addition to the standard analog output (0) 4-20 mA or (0) 2- 10 V DC the ADT-03 is equipped with a RS-485 interface for different protocols. Two relays with adjustable switch threshold are available as an option. 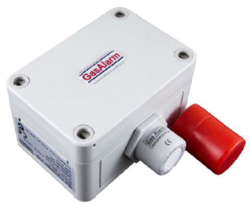 Gas Alarm Systems Indiaoffer MSR Germany Polygard Hexane Sensor Transmitter for combustible gases ADT transmitter with digital processing of the measured values and temperature compensation for the continuous monitoring of the ambient air and detection of combustible gases and vapours. The calibration routine with selective access release enables the comfortable calibration of the transmitter. In addition to the standard analog output (0) 4-20 mA or (0) 2- 10 V DC the ADT-23 is equipped with a RS-485 interface for different protocols. Two relays with adjustable switch threshold are available as an option. The transmitter is used within a wide commercial range for detecting flammable gases and vapours. Due to the output signal and the RS-485 interface the transmitter ADT-23 is compatible to the PolyGard gas controller series MGC and DGC by MSR-E as well as to any other electronic control or automation system.